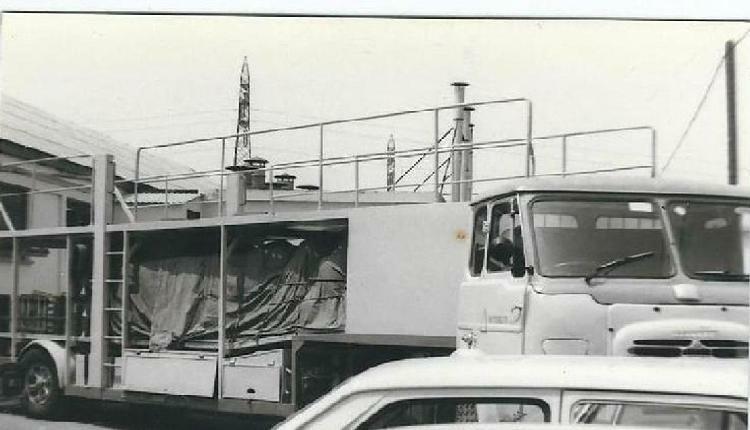 This was the old heavy transporter of Alfa Romeo Deutschland that was being used as a substitute transporter for the first few Grand Prix races that Autodelta competed in with its new Alfa 177 car for the 1979 season, as the purpose build new Autodelta transporter was not ready we I learned from an Autodelta team member years later. 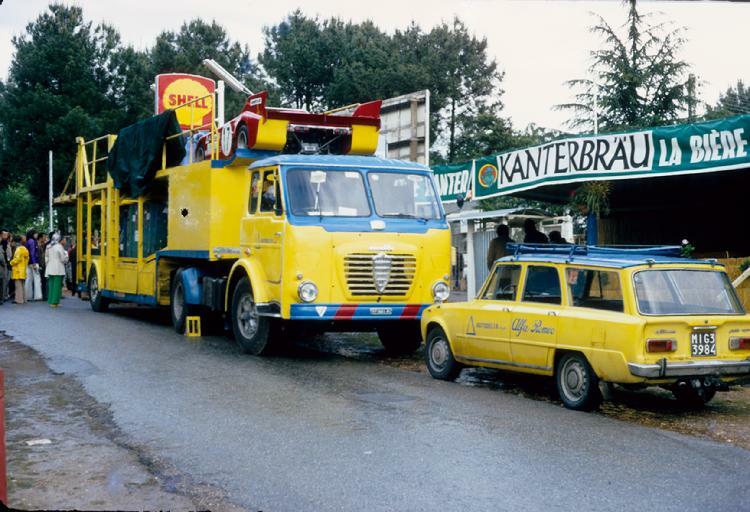 This is the famed Autodelta transporter used throughout the European Continent and Sicily when the need to ship more than... say...two cars at once was required. 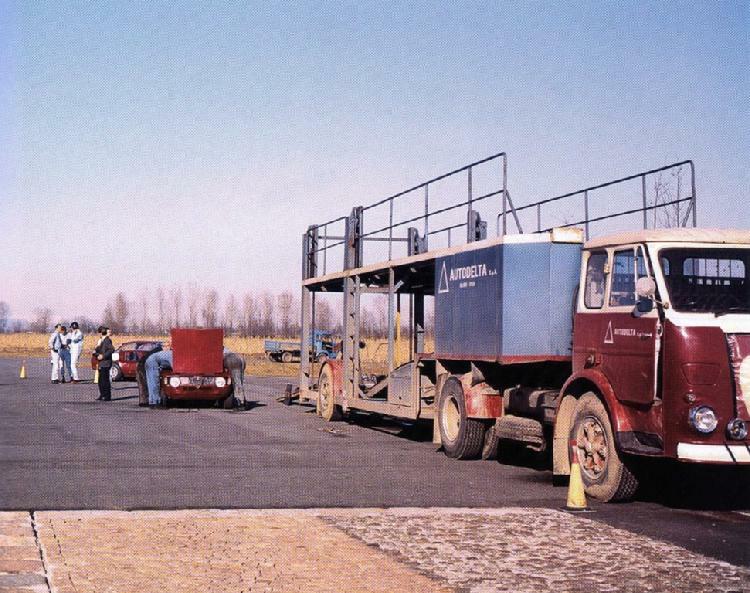 Many times it would travel between Settimo Milanese and Balocco to transport two or more T-33 and/or GTA cars...always loading in secrecy "Inside the Walls" of the Autodelta compound with secure covering over the cars to prevent prying eyes and prying photographers ... as all of Ing. 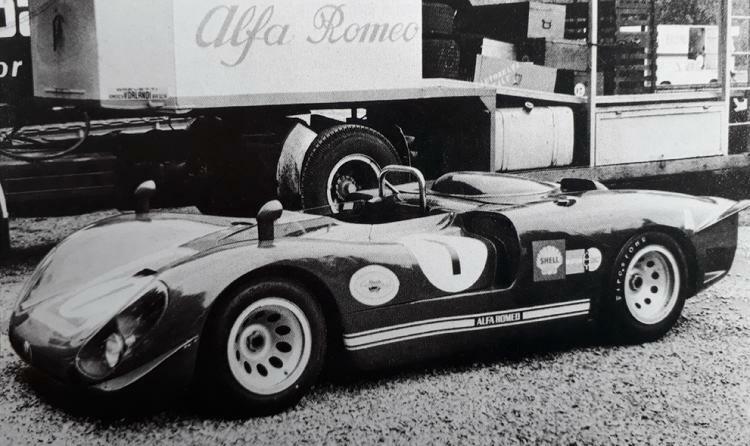 Chiti's aerodymanic experiments beyond the wind tunnel stage were created in-house and secretly tested at Balocco. 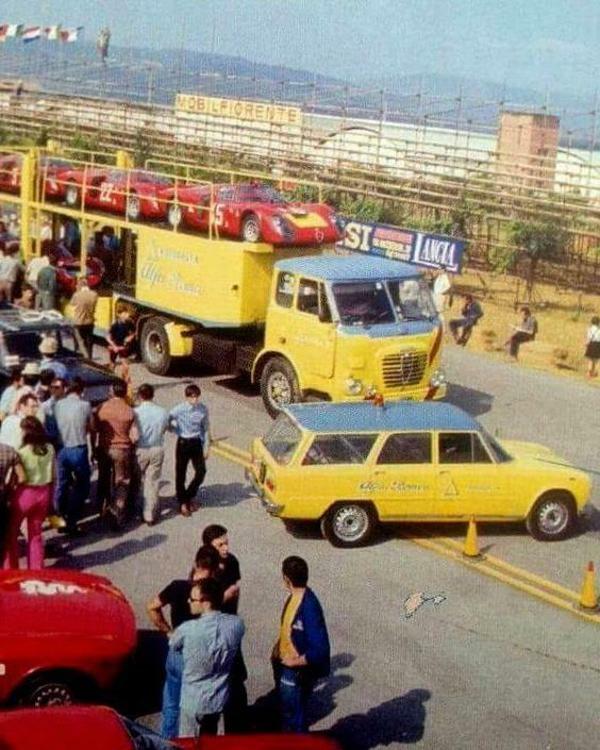 When a single car needed to be tested at Balocco, a Alfa Romeo Colli stationwagon pulling a single car trailer was always used. The Colli is shown in the very next image. This is the Autodelta machine shop autobus that contained everything necessary to bend, shape, weld, solder, braze metals, and perform virtually any machine shop operation. 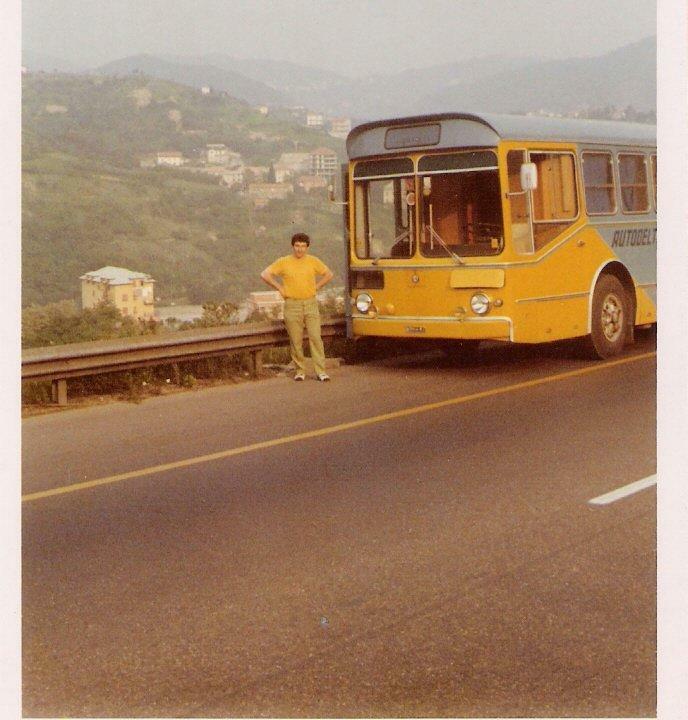 A full-sized lathe was positioned in the center of the chassis.... all in one very heavy slow-moving bus. The driver is my friend Ermes Moscardo who also served as the Autodelta painter. 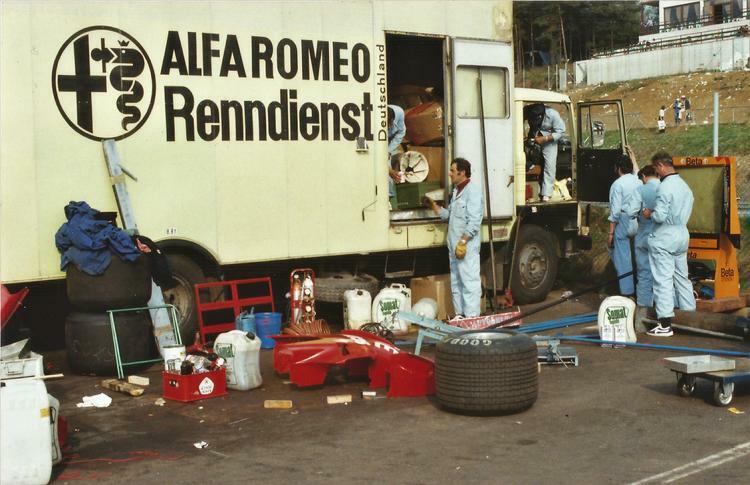 This machine shop on wheels would travel to any race circuit on the European continent and Sicily.... where it is also pictured in the background of one of the Targa Florio images. 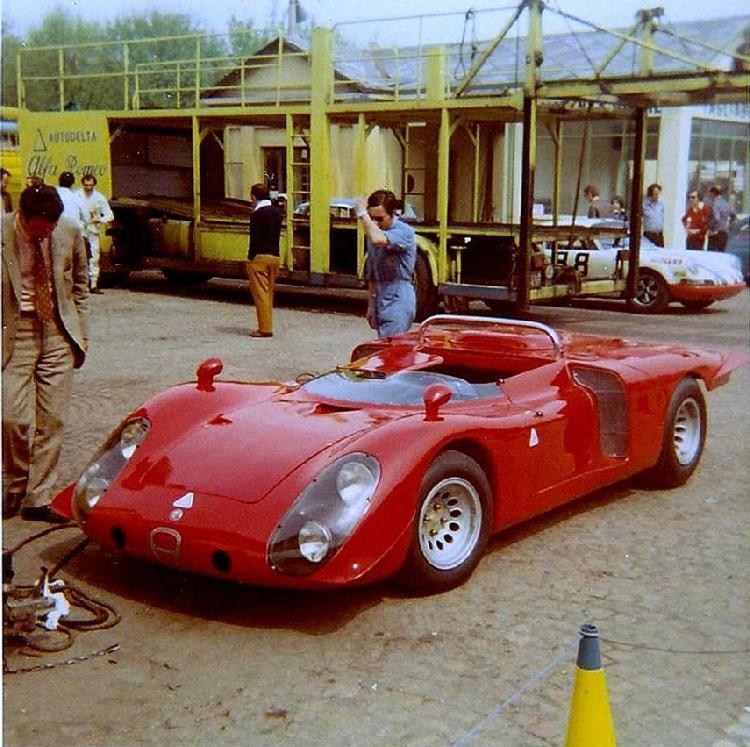 On the road to LeMans 1972. 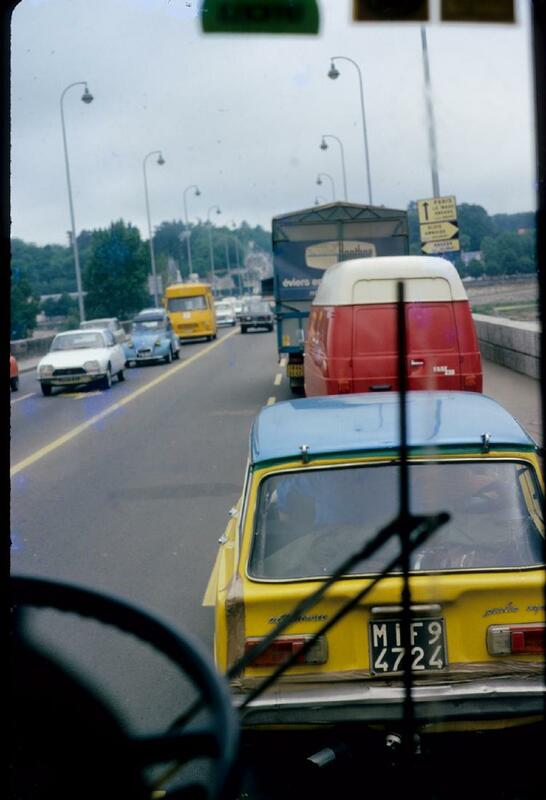 Ok...let's 'connect the dots'.....we are looking directly at the Alfa Romeo Colli stationwagon used for just about everything by Autodelta as taken from the passenger seat of the Autodelta machine shop bus! Too bad I didn't think to photograph the inside of the bus having spent two dozen hours in it travellling! Sorry. 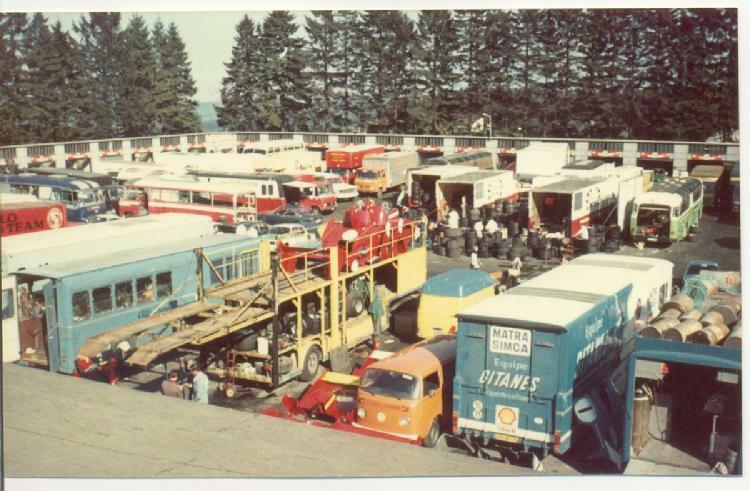 Nürburgring Paddock, 1000 km race 1974 with a sight on the Alfa transporters, courtesy of photographer Manfred Rommelsheim and the site www.Pro-Steilstrecke.de (a great Nurburgring history site).